SoMa has excellent walkability, is easy to get around on a bicycle and has excellent transit, according to Walk Score's rating system. So what does the low-end pricing on a rental in SoMa look like these days -- and what might you get for the price? We took a look at local listings for studios and one-bedroom apartments in SoMa via rental site Zumper to find out what price-conscious apartment seekers can expect to find in this San Francisco neighborhood. Listed at $1,695/month, this studio, located at 81 Ninth St., is 37.1 percent less than the $2,695/month median rent for a studio in SoMa. The building features on-site laundry and a full-time building manager; in the unit, you'll find central heating and hardwood flooring. Pets are not welcome. The rental doesn't require a leasing fee. This studio apartment, situated at 1045 Mission St., #379, is listed for $2,215/month for its 275 square feet of space. In the unit, look for skylights and spacious closets. When it comes to building amenities, expect controlled access, garage parking, a fitness center, concierge service, outdoor space and on-site laundry. Pet owners, inquire elsewhere: this spot doesn't allow cats or dogs. 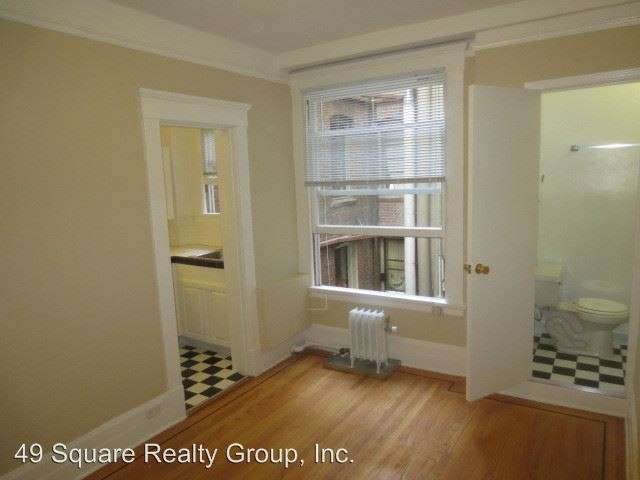 Here's a studio at 1532 Howard St., #203, which, at 300 square feet, is going for $2,295/month. The building offers a roof deck, outdoor space, bicycle parking, an elevator and secured entry. In the unit, expect to find central heating, hardwood flooring, a dishwasher and a Murphy bed. If you've got a pet, you'll be happy to learn that cats and dogs are allowed. There's no leasing fee required for this rental. Then there's this 385-square-foot u at 570 Jessie St., listed at $2,450/month. In the unit, expect to see floor-to-ceiling glass, hardwood floors, in-unit laundry and Webpass internet. Amenities offered in the building include on-site management, assigned parking, bicycle storage and a roof deck with a fire pit. The rental doesn't require a leasing fee. Listed at $2,598/month, this 376-square-foot studio rental is located at 574 Natoma St., #102. When it comes to building amenities, expect outdoor space, on-site laundry and secured access. In the unit, expect a fireplace, a dishwasher and a private patio. Both cats and dogs are welcome. Future tenants needn't worry about a leasing fee, but there is a $1,000 security deposit.